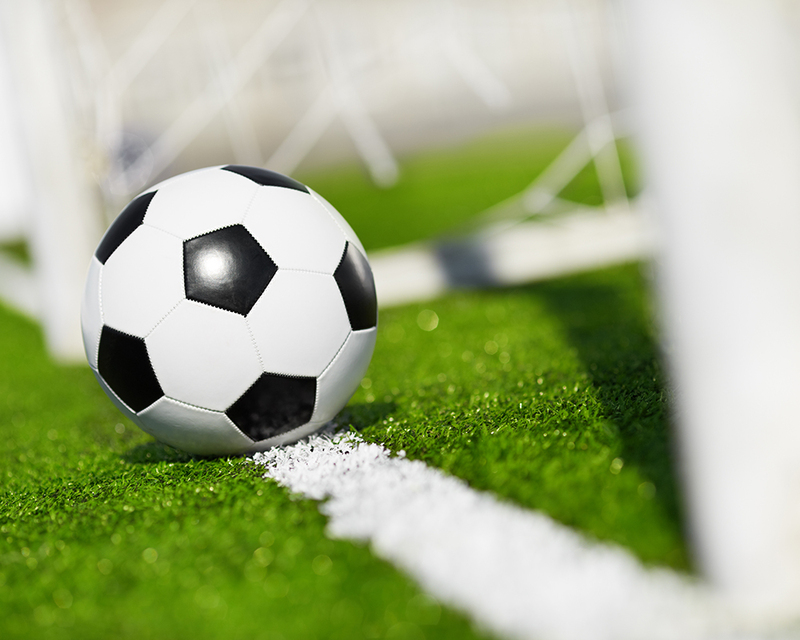 Ravenwood High School - Ravenwood took their regular season record to 5-1 last night by beating The Rossview Lady Hawks 7-4. Last weekend, the Lady Raptors went to Gatlinburg to participate in the Smoky Mountain Cup. They played three games, winning two and losing one. Senior Clara Miller commented on the weekend, "It was a lot of fun. It's great that we all got to be together. I think it was really good for the team to spend quality time together. It was a really good time to play games where we could work on things and get in a groove." Apparently, even mama bears with baby bears and scorpions could not ruin the good time. Starters for last nights game included: Cami Belin, Madison Sumatra, Melissa Rondinelli, Sarah Cloud, Ana Bridgeman, Sierra Hetherington, Savannah Hill, Kayla Gruver, Claire Fallon, Tori Case and Emma Petty. Ravenwood took early control of the game. In the 7th minute, Sierra Hetherington scored on a nice pass from Claire Fallon to open the scoring for the Raptors and take the score to 1-0. Although Ravenwood was in control, Rossview got a good chance a minute later only to be turned away on a good save by Emma Petty. Hetherington and Fallon would reverse roles just a minute later with Fallon scoring to give Ravenwood a two goal advantage. Play would continue for the next 15 minutes until Rossview got on the board to close within one goal. But Fallon would stop any Lady Hawk momentum when she got past the Rossview defense and drew a penalty kick. The Rossview goalie was forced to make a play and could not touch the ball before taking Fallon down. She was given a red card forcing Rossview to play with 10 players for the remainder of the game. Hill would successfully take the PK to give Ravenwood a 3-1 lead at halftime. Starters for the second half were: Anna Jahr, Mia Fraser, Cassidy Fessmire, Maia Rondinelli, Karley Wilson, Clara Miller, Josie Ricketts, Jolie Hurley, Faith Vanston, Abby McNulty and Anna Major. Just 6 minutes into the second half, Anna Jahr would join the scoring spree on a pass from Cassidy Fessmire. At this point, it looked like Ravenwood was in complete control. Rossview had other plans, however, scoring two very quick goals to bring the score to 4-3. Then Ravenwood found some composure and started to gain back control. Clara Miller hit the crossbar and Mia Fraser had a great shot before Anna Jahr scored her second goal of the night on a pretty pass from freshman Maia Rondinelli. That goal gave Ravenwood a two goal cushion. Then five minutes later, Anna Major got her goal to make the score 6-3. Tori case would continue the offensive pressure when she ripped a shot that forced the Rossview goalie to make a great save. Rossview would get their final goal in the 75 minute. Then, one minute later, Senior Clara Miller would get her goal on a far-out shot and end the scoring at 7-4 Ravenwood. Miller commented on the teams performance. "It was ok. It was a bit frustrating at times. I think we can defend better as a unit. Also we attacked by ourselves to much. We didn't go us as a group. It makes it harder to score that way. Everyone got a lot of playing time which was nice for our development. It was really nice to have the whole team cheering for everybody. It did a lot for morale before we start districts." 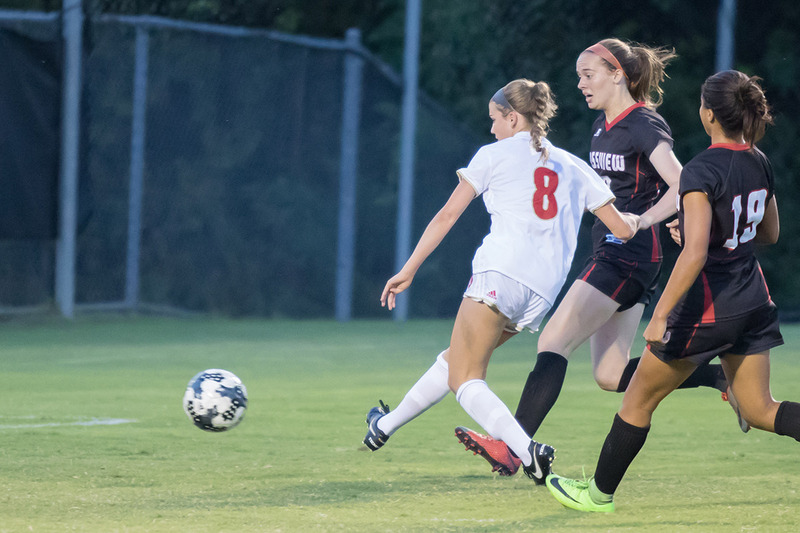 Speaking of districts, the Lady Raptors start their district games tomorrow when they host Summit at Ravenwood High School – the game starts at 7pm. As usual, for all Ravenwood students in attendance, we'll have our halftime contest sponsored by Outlanders Chicken in Nolensville. JV took their undefeated record to 5-0 with three Smoky Mountain Cup wins over the weekend and last night's 10-2 victory over the JV Lady Hawks. Starters for the game were Faith Vanston, Erin Bentley, Ashley Yoshihara, Lillye Perez, KC Gooden, Abby McNulty, Maddie Gleason, Anna Major, Cassidy Fessmire, Courtney Hill, Christina Stauffer and Mia Fraser. The scoring went as follows: Fessmire from Anna Major, Courtney Hill from Anna Major, Maddie Gleason, Sophia Gaddis, Anna Major from Ella Skaar, Ashley Yoshihara from Courtney Hill and Mia Fraser, Fraser from Fessmire, Nora Henderson from Fessmire, Mia Fraser and Madeline Jones from Fessmire.